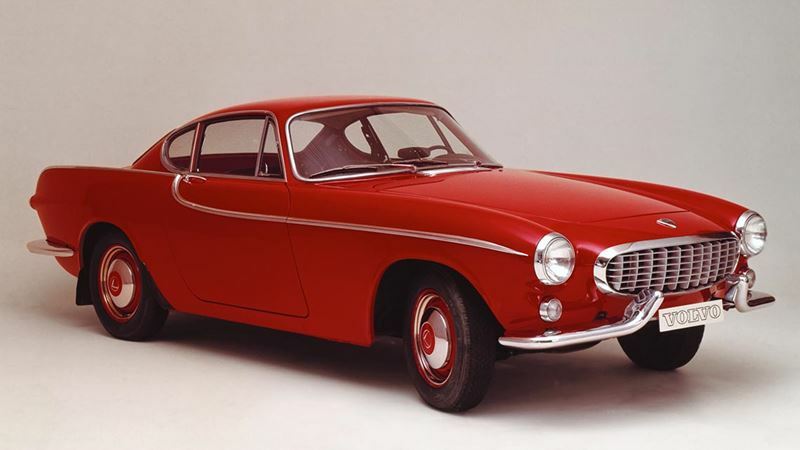 The new car was initially known as the Volvo Sport, but it later became known as the P1800. This new sports car had Italian styling and production began in 1961. As Volvo did not have the capacity to build the car itself, production during the first years was contracted to England. A company called Pressed Steel made the bodies, while the final assembly took place at Jensen. The Volvo P1800 was based on the floorpan of the Volvo 121/122S, but it had a shorter wheelbase. The car also had an entirely new 1.8-litre, 4-cylinder engine which developed 100 bhp. Overall length 440 cm/173.2", wheelbase 245 cm/96,5". This Volvo model became very famous as a result of its role in the films about "The Saint" in which the hero Simon Templar (Roger Moore) drove the car.